Highly folded brains are not present in most animals but only in some primates, dolphins, elephants and pigs. However, not a lot is understood of how the brain folds. Researchers at Harvard John A. Paulson School of Engineering and Applied Sciences collaborating with scientists in Finland and France have shown that while many molecular processes are important in determining cellular events,what ultimately causes the brain to fold in a simple mechanical instability associated with buckling. Understanding how the brain folds is important because it can unlock the inner workings of the brain and unravel brain-related disorders. The number, size, shape and position of neuronal cells during brain growth all lead to the expansion of the gray matter,relative to the underlying white matter. This puts the cortex under compression, leading to a mechanical instability that causes it to crease locally. Growth differential between the brain’s outer cortex and the soft tissue underneath explains the variations in the folding patterns, the relative size of the brain, and the relative expansion of the cortex. Based on this, the team collaborated with neuroanatomists and radiologists in France and tested the theory using data from human fetuses. 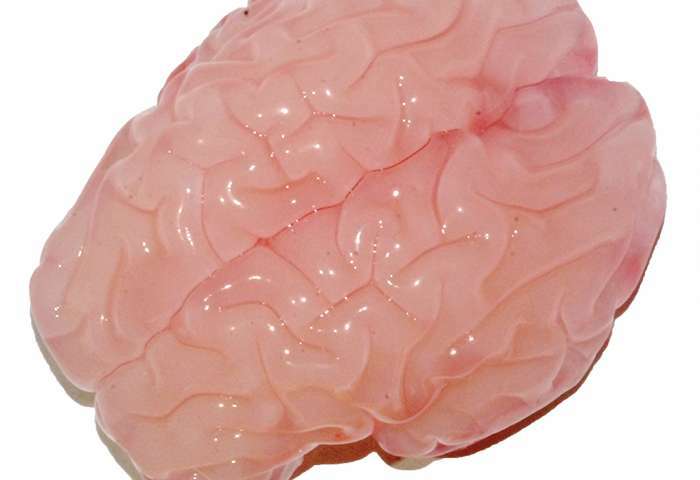 The team made a three-dimensional, gel model of a smooth fetal brain based on MRI images. The model’s surface was coated with a thin layer of elastomer gel, as an analog of the cortex. To mimic cortical expansion, the gel brain was immersed in a solvent that is absorbed by the outer layer causing it to swell relative to the deeper regions. Within minutes of being immersed in liquid solvent, the resulting compression led to the formation of folds similar in size and shape to real brains. The research shows that if part of the brain does not grow properly or the geometry is disrupted, the major folds are not in the right place causing a dysfunction in the brain. A low cost human organ model production technique was developed by University of Tsukuba in conjunction with Dai Nippon Printing Co., Ltd. (DNP) for use with 3D printers that helps reveal intricate interior organ structure. Professor Jun Mitani of the Faculty of Engineering, Information and Systems at the University of Tsukuba, Professor Nobuhiro Ohkohchi and Lecturer Yukio Oshiro of the Faculty of Medicine collaborated with DNP to produce human organ model that makes internal structures easier to see. The technique will cost as low as 1/3 compared to those for presently presented technology. It is expected that the penetration of the new technique will lead to the promotion of clinical site applications. Dr. Scott Hollister, a biomedical engineering professor at University of Michigan and Dr. Glenn Green, otolaryngologit at C.S. Mott Children’s Hospital invented a tracheal splint using 3D printing in 2012. The 3D printed trachea of a baby with tracheobronchomalacia (TBM),keeps the airway open until it can grow into a healty state and stay open on its own. The splint dissolves and is absorbed in the body and the process can take up to three years. Dr. Hollister and Dr. Green partnered with Materialise and Tissue Regeneration systems to commercialize the device, starting with clinical trial involving involving 30 patients at Mott Children’s Hospital sometime next year. The bioresorbable splints will be manufactured by Plymouth, Michigan startup Tissue Regeneration Systems, which received its first commercial product clearance from the FDA in 2013 after several years of product development. Montana State University, Deparment of Mechanical and Industrial Engineering and Xtant Medical Holdings created a 3D printer capable of printing resorbable bone grafts. The grafts produced can be broken down and absorbed into the body. The personalized bone grafts are custom made and the material used for MSU can minimize the material limitations. The ability to bioprint usable bone and joint material has seen progress from all over the world and now MSU has contributed their breakthrough research in the medical race to 3D print reconstructive parts for the human body. Belgrade, Mt (GLOBE NEWSWIRE) – Xtant Medical Holdings, Inc. (NYSE MKT:XTNT), a leader in the development of regenerative medicine products and medical devices, today announced the first surgical implantation of OsteoSelect PLUS Demineralized Bone Matrix (DBM) Putty, developed by its wholly owned subsidiary, Bacterin International, Inc.
OsteoSelect PLUS is a next-generation DBM putty, comprised of OsteoSelect DBM Putty and demineralized cortical chips, designed to provide superior handling for surgeon end users during surgery. Dr. Ali Araghi, DO, Director of the Spine Division at The CORE Institute was the first surgeon to utilize OsteoSelect® PLUS DBM Putty in a spinal fusion procedure. OsteoSelect PLUS was developed in response to surgeon demand. Utilizing surgeon input for design allowed Bacterin to create an additional first class, bone graft substitute in the DBM space and strengthen its comprehensive product portfolio. Xtant Medical Holdings, Inc. (NYSE MKT:XTNT) develops, manufactures and markets class-leading regenerative medicine products and medical devices for domestic and international markets. Xtant products serve the specialized needs of orthopedic and neurological surgeons, including orthobiologics for the promotion of bone healing, implants and instrumentation for the treatment of spinal disease, tissue grafts for the treatment of orthopedic disorders, and biologics to promote healing following cranial, and foot and ankle surgeries. With core competencies in both biologic and non-biologic surgical technologies, Xtant can leverage its resources to successfully compete in global neurological and orthopedic surgery markets. For further information, please visit http://www.xtantmedical.com. This press release contains certain disclosures that may be deemed forward-looking statements within the meaning of the Private Securities Litigation Reform Act of 1995 that are subject to significant risks and uncertainties. Forward-looking statements include statements that are predictive in nature, that depend upon or refer to future events or conditions, or that include words such as “continue,” “efforts,” “expects,” “anticipates,” “intends,” “plans,” “believes,” “estimates,” “projects,” “forecasts,” “strategy,” “will,” “goal,” “target,” “prospects,” “potential,” “optimistic,” “confident,” “likely,” “probable” or similar expressions or the negative thereof. Statements of historical fact also may be deemed to be forward-looking statements. We caution that these statements by their nature involve risks and uncertainties, and actual results may differ materially depending on a variety of important factors, including, among others: the Company’s ability to successfully integrate the acquisition of X-spine; the ability of the Company’s sales force to achieve expected results; the Company’s ability to meet its existing and anticipated contractual obligations, including financial covenant and other obligations contained in the Company’s secured lending facility; the Company’s ability to manage cash flow; the Company’s ability to develop, market, sell and distribute desirable applications, products and services and to protect its intellectual property; the ability of the Company’s customers to pay and the timeliness of such payments; the Company’s ability to obtain financing as and when needed; changes in consumer demands and preferences; the Company’s ability to attract and retain management and employees with appropriate skills and expertise; the impact of changes in market, legal and regulatory conditions and in the applicable business environment, including actions of competitors; and other factors. Additional risk factors are listed in the Company’s Annual Report on Form 10-K and Quarterly Reports on Form 10-Q under the heading “Risk Factors.” The Company undertakes no obligation to release publicly any revisions to any forward-looking statements to reflect events or circumstances after the date hereof or to reflect the occurrence of unanticipated events, except as required by law. © Copyright 2015, GlobeNewswire, Inc. All Rights Reserved.